Every big sports movie needs the powerful, authority figure that threatens to liquidate our beloved home team. Of course the decision to move the team, sell the team, or destroy the team always comes down to the last match of the season and whether or not our hero’s side wins or loses. This is one of the oldest tricks in the book when it comes to sports movies and it gives filmmakers that chance to take a jab at THE MAN for the corporate society that we now live in while making a movie thats other conflicts are mostly physical in nature. This added drama often makes the final match that much more important and it makes us root for the boys that much more. Also it gives us a chance to add another huge star into a limited role with little depth. But the role of the semi-evil Commish is an underrated one and it deserves the classiest of gents to portray such a man of power. Who should be STO Soccer the Movie’s Commish? 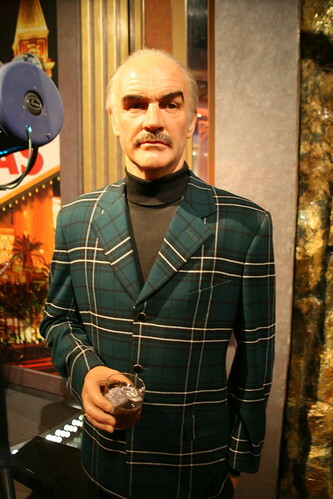 In one Yank’s opinion, Sean Connery is King of Britain and the former Bond leading man deserves a role suitable for his rank. Connery also has always endorsed being a sportsman over the years, so the role of the league commish would likely peak his interest. And the guy is getting up there in the years and action roles should be avoided down the road for the near 80 year old. Besides the guy was once King Arthur and the head of the League of Extraodinary Gentlemen, so being the head of the roundtable of the EPL sounds fitting. Wilkinson from Michael Clayton fame often plays the role of the corrupt evil businessman and the Academy Award winning actor often plays the role of the evil general too in such films as The Patriot and Valkyrie. This combo makes him the perfect choice. In fact it is safe to say that Wilkinson is kind of typecast as the evil man of power about 90% of the time. I think the guy would make a great Commish and if he agreed to be in the movie then I promise I will burn every available copy of Black Knight since it is his least proud work. Kingsley once played that Ghandi guy and won an Academy Award for his work, so I think playing an EPL commish would be a drop in the bucket for the star. In fact Kingsley has never been offered a part he did not like. He was recently given great reviews for his creepy role in Shutter Island, but I want to hear more about his work in The Love Guru. Kingsley should take the part before the Prince of Persia is released and I change my mind. Stewart has really cashed in with his work in the X Men Series and the English actor knows a thing or two about franchises with his previous work in Star Trek: The Next Generation. And the classically trained actor has played several distinguished roles over his career and playing the league commish seems like a realistic choice. Look for Stewart to star as Macbeth in an upcoming television series this fall. So maybe on second thought roles of power aren’t such a good idea. And if we consider one captain why not consider the original one of the Star Trek enterprise too? I realize that Shatner’s acting ability isn’t the best, but the role of Commish could be perfected by the star of American Psycho 2. He is a Canuck, but I would ask if Shatner could pull off the British accent. I doubt he could, but it would be fun to see him give… it… a… shot (Shatner pause style).